I have seen Born in China quite a few times now while covering Disney press junkets. It’s a beautiful film that gives you the gift of visiting places that very few get to experience. Getting an up close look at panda bears, golden snub-nosed monkeys, and snow leopards is a rare treat. And now, with the release of the film you have to check out the Born in China Bonus Features. Disney’s Born In China, narrated by John Krasinski, transports audiences to some of the world’s most extreme environments of China where few people have ever ventured to witness wildly intimate and adorable moments in the lives of three animal families – a doting panda bear mother, a 2-year-old golden snub-nosed monkey, and a mother snow leopard. It is the seventh theatrical release from Disneynature, which brings the world’s top nature filmmakers together to share wildlife stories that engage, inspire and educate. The breathtaking footage and high-definition quality picture is captivating for audiences of all ages and is a must-add to the in-home collection. 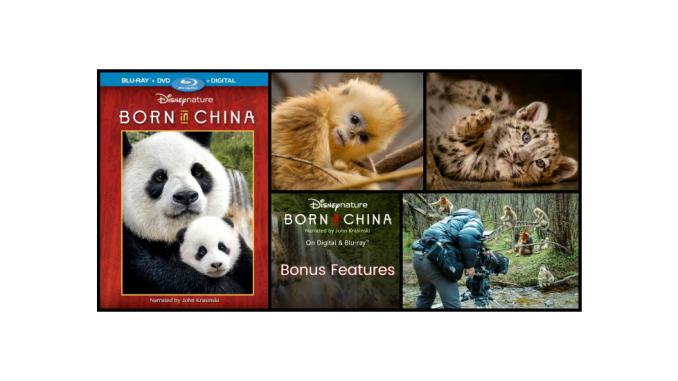 Disneynature’s newest true-life adventure film “Born in China” journeys into homes on Digital and Blu-ray™ Combo Pack TODAY, Aug. 29. Cinematographer Paul Stewart and his assistants, filming pandas. Director of PhotographyPaul Stewart shares the challenges the crew faced while filming pandas in Sichuan. To ensure that the filmmakers would not endanger the animals by habituating them to humans, filmmakers were required to don panda suits. 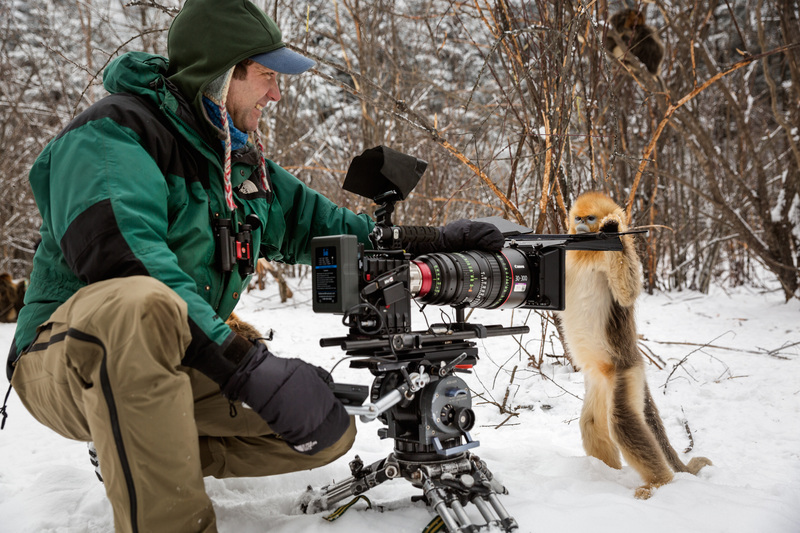 Description: Cinematographer Justin Maguire filming golden snub-nosed monkeys. This bonus feature follows the film crew showing the challenges of filming golden snub-nosed monkeys. The love human interaction as they are incredibly curious. They love to play with the cameras and interact with the cinematographers. 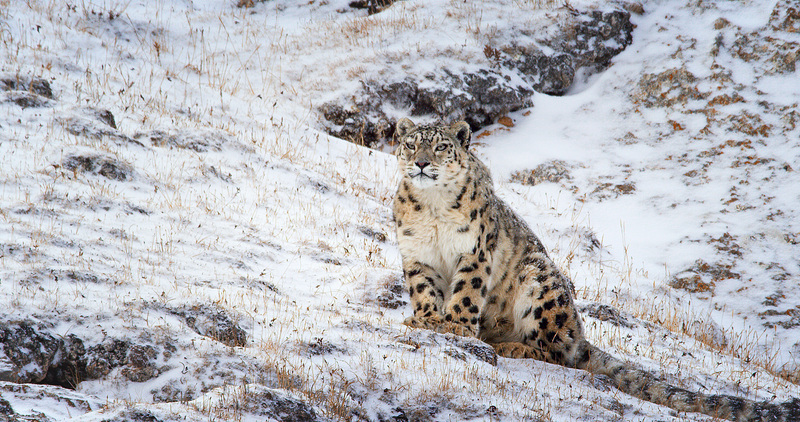 Until the film crew set out on a quest to find baby snow leopards, it hadn’t been done before. Now you can take a look at this very rare behind the scene footage on the Born in China Bonus Features. The camera crew captures the first moments of a baby red crowned crane’s life. Music video by American Authors performing Everything Everything. (C) 2017 Island Records Ltd.
*I was invited by Disney to Animal Kingdom as part of the #LionKingBluray and #BornInChinaBluray event. All opinions and fun had are 100% authentic. Hey Buddy!, I found this information for you: "Born in China Bonus Features". Here is the website link: https://www.trippinwithtara.com/born-in-china-bonus-features/. Thank you.